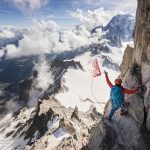 The Best of the Banff Mountain Film Festival will make its annual stop at the Clarke Theatre in Mission BC on Tuesday/Wednesday November 27 & 28, at 7:00pm. Mt. Waddington outdoor store, Chilliwack; UFV campus in Hope. Proceeds from ticket sales will help support the Hope Mountain School and the Fraser Valley Mountain Bike Association.